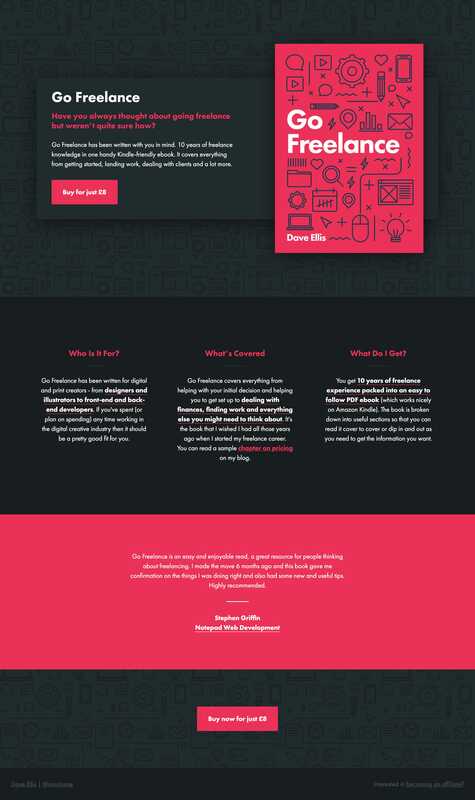 Lovely SVG animation within the book cover in this Landing Page for the Go Freelance eBook. Go Freelance has been written with you in mind. 10 years of freelance knowledge in one handy Kindle-friendly ebook. It covers everything from getting started, landing work, dealing with clients and a lot more.